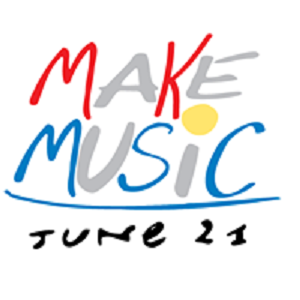 We are a charitable organisation whose primary object is to organise an annual Make Music Day on June 21st in the town centre of Abingdon to get as many people as possible to make music on the longest day of the year. From our constitution: The Objects of Make Music Abingdon are to strengthen collaboration and cohesion in the community through communal singing and music making by organising an annual Make Music Day in the town of Abingdon and to promote the arts in inspiring people to make music together. In the months leading up to Make Music Day on June 21st we will meet approximately twice a month to organise and plan the event. People who want to join the planning process or who can offer their help in any way are welcome to attend. Get in touch for details. The whole Abingdon community. We want to get as many children, teenagers, adults and elderly as possible involved in music making - on June 21st and the rest of the year.